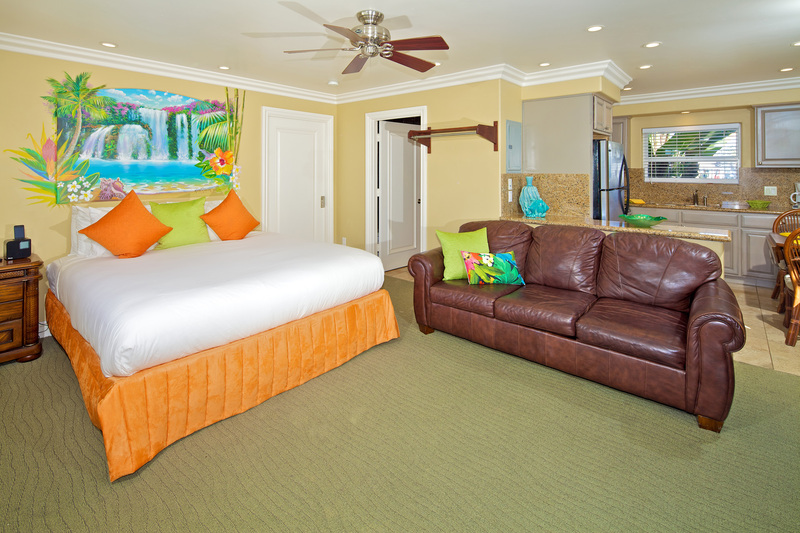 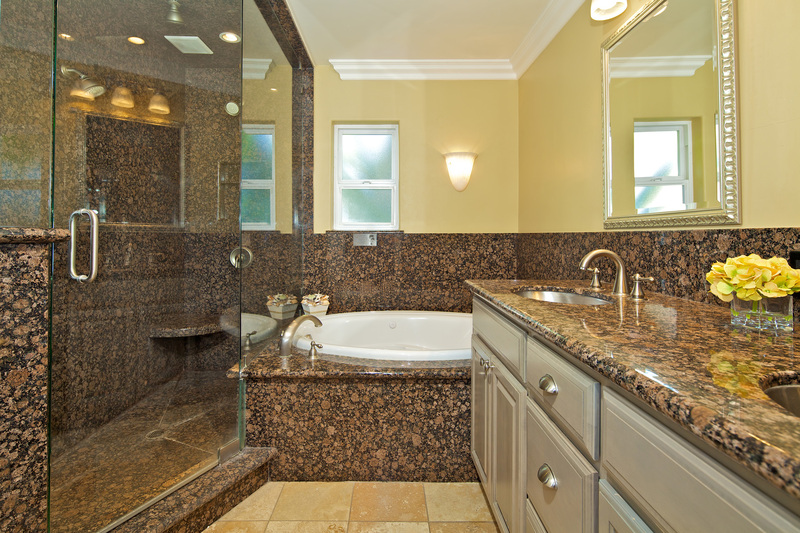 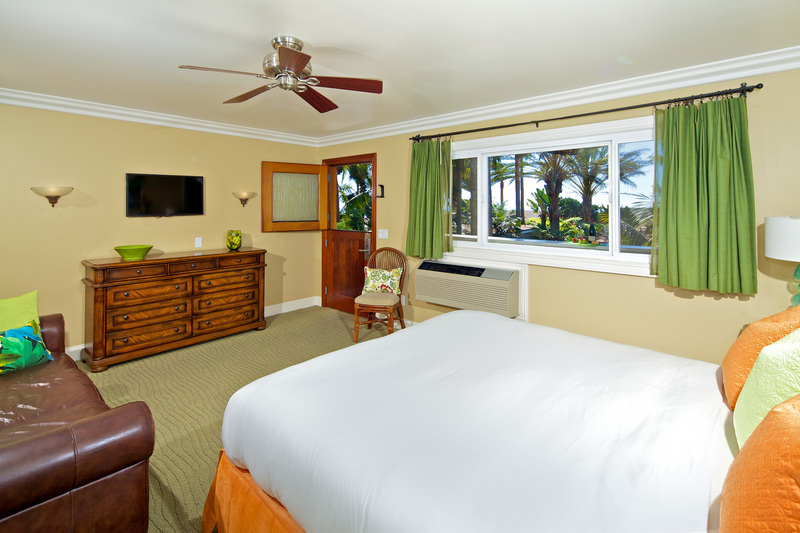 Comfortable and luxurious suite for up to four guests featuring in-room Jacuzzi tub, with garden and peek-a-boo ocean views. 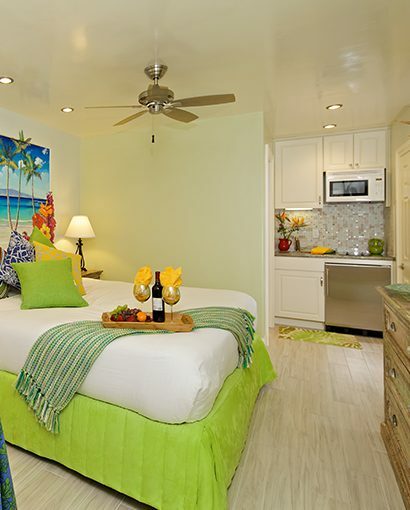 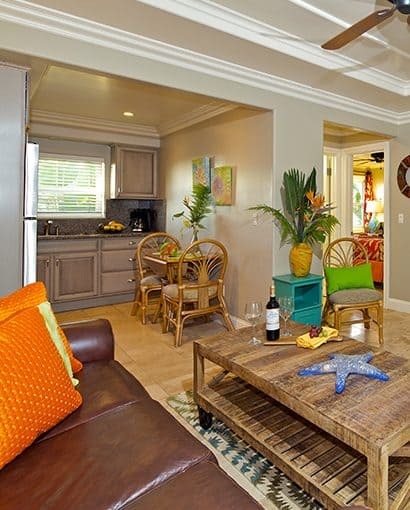 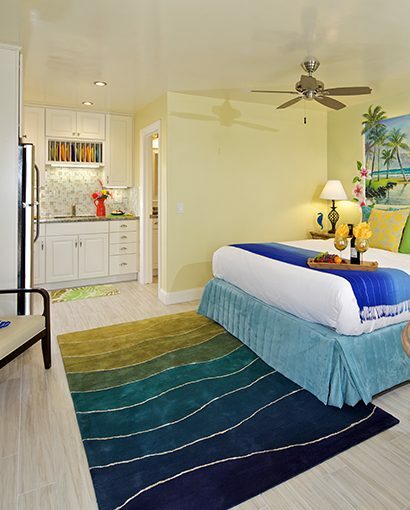 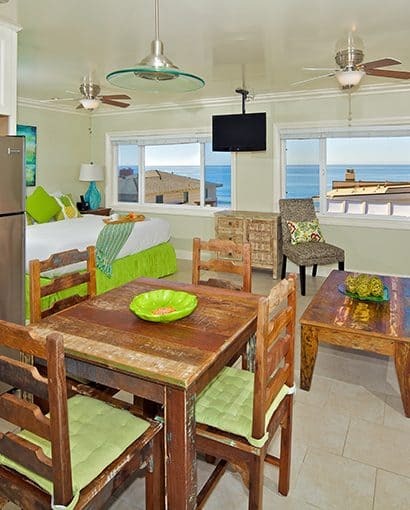 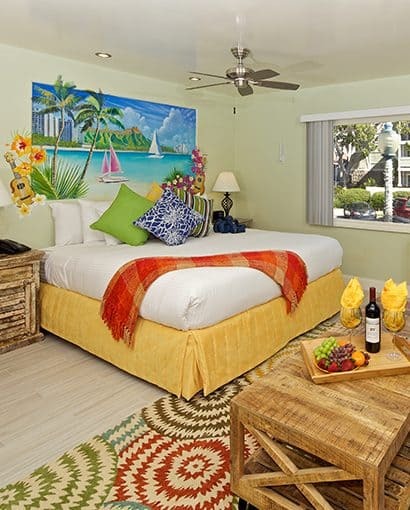 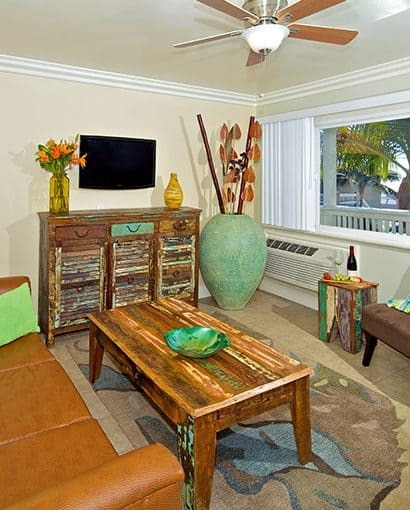  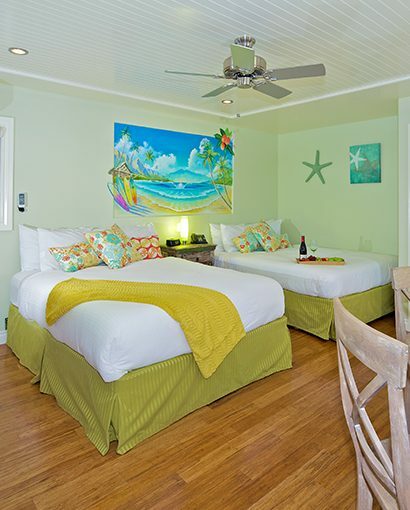 This 410 square foot, beautifully renovated suite with beach chic decor, includes top quality furnishings, granite and glass standup shower and double vanity sink. 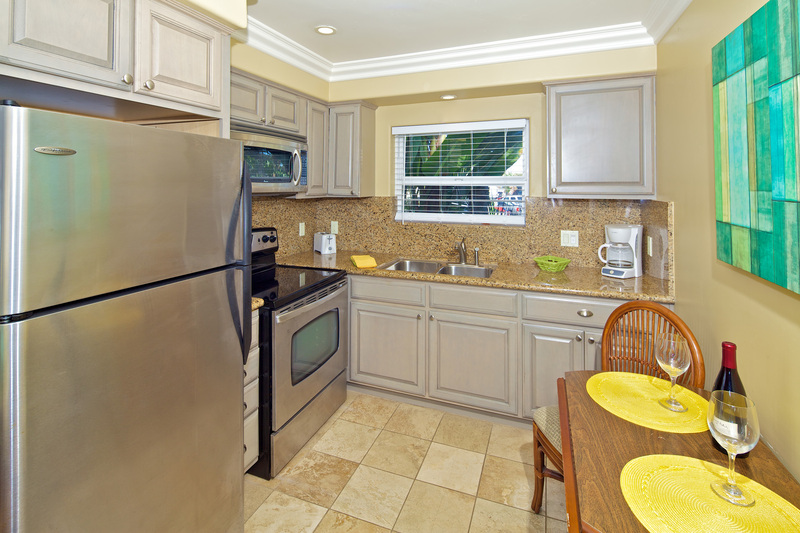 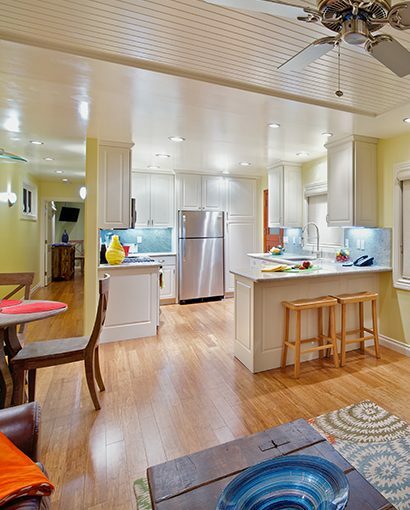 Full Kitchen with microwave, oven, stove, full-size refrigerator and freezer, 50” LED flat screen TV with Spectrum HD Cable, free Wi-Fi and Tile flooring.